At the time the Spanish Crown has given up the conquest of the Peninsula and only its ships came along the area. The Manila galleons replenishing water in Aguada Segura and other vessels searching for pearls near present-day La Paz were the privateer's main targets. The privateers had good relations with the Pericues and received food and gifts from them. Among the most accurate accounts about the area's native people were written and drawn by English privateers in the years 1712, 1721, and 1726. In the 1730's the Jesuits found in the area blonde and blue and green eyed men and women descendants of the privateers and Pericu women. The pirate misname probably comes from the Spaniards who considered the privateers as such because they were after all looting their ships, but they did not only hold a Letter of Marque but had the expertise, organization and crew discipline required to complete a successful circumnavigating voyage which were well beyond the capabilities of a pirate. 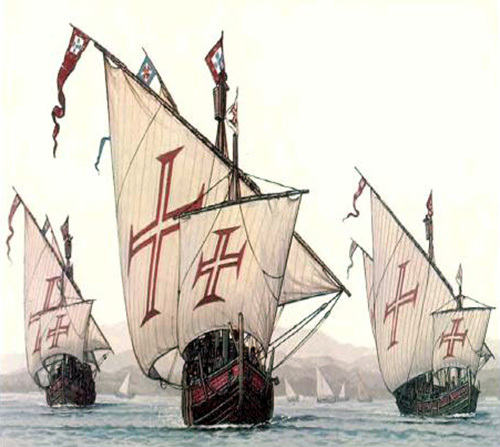 The knowledge and technology that allowed the Spaniards to sail as far as the New World were first developed in Portugal. The leading force behind this epic advancement was Henry the Navigator who inspired, promoted, and organized one of the most transcendental discovery thrusts in mankind's history. Aboard the newly developed caravels, which combined small size with seaworthiness, Portuguese sailors and soldiers explored and conquered the shores of Africa and of the Indian Peninsula, reaching as far as the Spice Islands and Japan. Thanks to the colonies founded along the newly established maritime routes, by the end of the 15th century, the small kingdom of Portugal had become one of the richest and most powerful empires in the world. In 1492 Christopher Columbus, sailing under the Spanish flag, reached the first islands of the American Continent sparking a tense competition with Portugal. To avoid hostilities, the two rival kingdoms resorted to diplomacy, marked by the signing of the Treaty of Tordesillas in 1494, sanctioned by Pope Julius II via the bull Ea Quae in January 24, 1506. Although the exact location of the boundary line was never settled, the spirit of the treaty was to divide the newly discovered lands outside Europe by a line parting the world in two halves, banning other European nations from the world oceans. This policy was refused by European nations like France, Holland and England, igniting a naval warfare that lasted more than two centuries in which the excluded countries engaged in privateering of Spanish and Portuguese ships and colonies. Portuguese cartographer Domingo Teixeira's world map drawn in 1573. The arrow points at the Tordesillas Treaty line. The first privateer to cross the Magellan's Strait was Francis Drake. After a successful raid on Panama, Elizabeth I of England sent Drake to start an expedition against the Spanish along the Pacific coast of the Americas. He set sail from Plymouth on November 15, 1577. 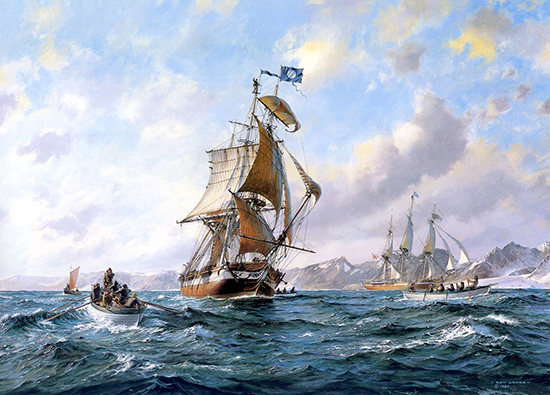 Drake sailed as far as nowadays San Francisco, California looking for a northern passage to the Atlantic Ocean while looting several Spanish galleons and towns along the way. He stopped on Cabo San Lucas Bay. On September 26, 1580 the Golden Hind sailed into Plymouth with Drake and 59 remaining crew aboard, along with a rich cargo of spices and captured Spanish treasures. The Queen's half-share of the cargo surpassed the crown's income for that entire year. 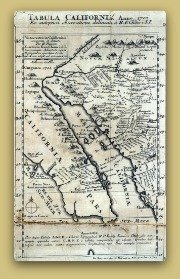 After Drake success other English and Dutch privateers came along inaugurating the "Pirates in San Jose del Cabo" history chapter. 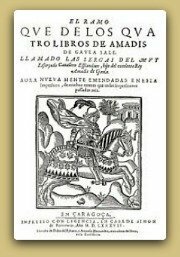 Thomas Cavendish is without a doubt one of the most successful and famous pirates in San Jose del Cabo. He arrived to the Pacific Ocean through the Magellan Strait on February 24, 1587. With three ships he plundered the coastal towns of South America and sunk several Spanish vessels until a captured ship's pilot revealed him that the Manila galleon was expected to arrive in Cabo San Lucas, by October or November. 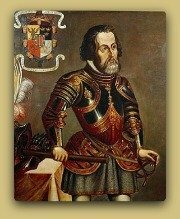 He abandoned his slower ship and sailed north with the Desire (120 tons) and the Content (60 tons) arriving in Cabo San Lucas on October 14, 1587. On November 4, Cavendish spotted the overloaded 700 ton galleon Santa Anna, which had no cannons on board to allow more cargo and therefore was no match against two manageable ships carrying twenty eight guns in all. The Santa Ana repelled the first English attack but after a few hours the Spanish galleon began sinking and finally its crew surrendered. Around 200 Spaniards lost their lives in the battle. Cavendish's ships and the Santa Anna sailed then to present-day San Jose del Cabo, where on November 17, the legend says, Thomas invited Spanish noblemen on board the Desire to celebrate Queen Elisabeth's crowning anniversary. The bounty was more than could be carried off. Cavendish loaded 122,000 gold pesos, jewels, pearls, spices, wines and ship's supplies leaving on board Santa Anna more than a million pesos worth of valuable goods. After setting the 190 Spanish survivors ashore, Cavendish bombarded the Santa Anna, and sailed away on November 19, 1587. 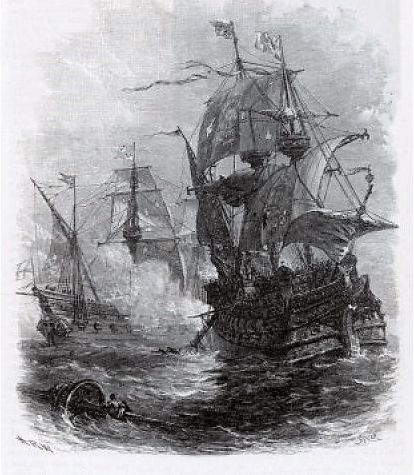 The galleon, while burning, drifted into the coast where the Spaniards repaired the damages and sailed to Acapulco. 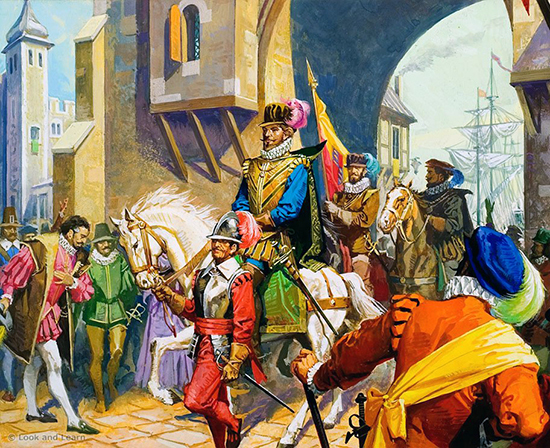 While the Content was never heard from again; on September 9, 1588 the Desire, displaying her blue silk sails, arrived in London where Cavendish was knighted by the Queen. The Santa Anna assault alarmed the Spanish Crown that immediately organized an expedition to California but their efforts to colonize the peninsula did not crystallize for another 100 years and it wasn't until April 8, 1730 that Jesuitical friar Nicolas Tamaral founded the Mission San Jose del Cabo AÃ±uiti in the place known until then as Aguada Segura. The establishment of the mission and later of a military outpost left the privateers without access to fresh water and forced them to leave the area putting an end to the era of "The Pirates in San Jose del Cabo". 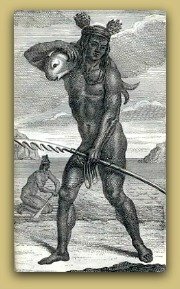 One of the local myths accounts that some of the families with a foreign surname are descendants of the pirates in San Jose del Cabo. Although is true that the privateers left descendants among the Pericues, the native people of the southern tip of the Peninsula were extinguished before any mix with the Spanish settlers that came along with the Jesuits could happen. It is well documented that the Leggs, Ritchie, Fisher, Green and Collins families among many others are descendants of whalers' crewmen that deserted from their ships and stayed in the area and that most of these desertions happened in the 19th Century.